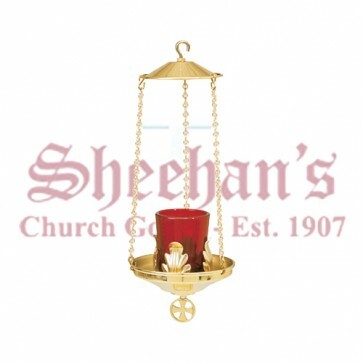 Gorgeous Hanging Votive Lamp made of brass in two-tone finish, shown with votive glass. This beautiful votive lamp measures overall 11" in height. Ideal for home devotions, small chapels.